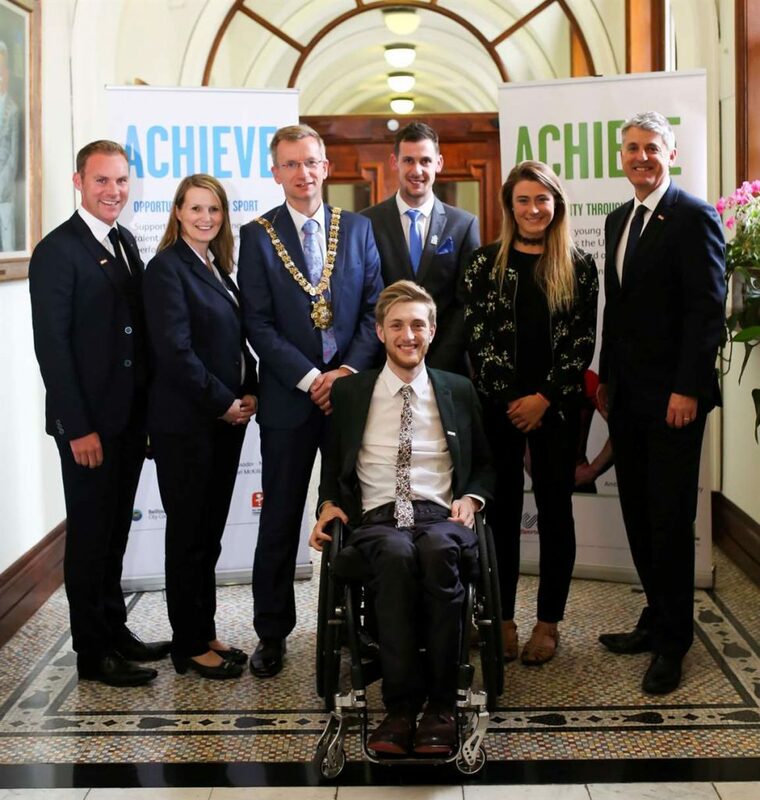 GLL has awarded 57 athletes from Belfast with support and funding as part of the GLL Sport Foundation at an awards ceremony at Belfast City Hall. This is the first year first year of GSF in Belfast, working in partnership with Mary Peters Trust and Belfast City Council. The GLL Sport Foundation sponsors athletes across the UK, who benefit from financial awards of up to £1,250, supporting associated travel, competition and equipment costings over a 12 month period. Recipients also benefit from sports performance support and training awards that allow free sporting access to more than 200 sport and leisure venues managed by GLL and partners across the UK. 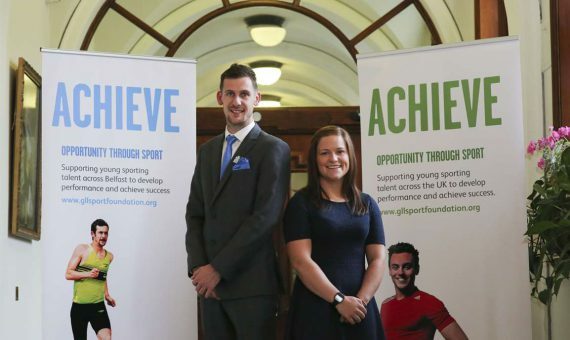 Dame Mary Peters, Patron of Mary Peters Trust states the benefit the partnership brings to Belfast athletes,“Having a partner like the GLL Sport Foundation means that we are able to fund more young athletes, this will help us create our future Northern Ireland sporting champions”. GSF supported ambassador, GB para athlete and 3x Paralympic gold medallist Michael McKillop explained the impact the programme will have to the next generation of Belfast’s athletes, “With the help of the GLL Sport Foundation young athletes will have the opportunity to gain vital resources to be able to train and compete at a competitive level. Young athletes have access to funding training and sports science support, all of which are vital to succeed in sport”. Another supported athlete who is focussed on future success is hockey player Shirley McCay who emphasised how the support aids her sporting quest, “As a member of the Senior Women’s Irish hockey team, my future aspirations are to qualify for an Olympic Games. We have come agonisingly close on two occasions, which has made me even more determined to succeed. The support this award provides me is invaluable in order to help me achieve my dreams. Access to over 250 GLL and partner operated sport and leisure venues across the UK allow me to train both on the pitch and in the gym, in world class facilities. The access to Sport Science and physiotherapy assistance allows me to recover well, avoid injury, monitor my training phases and overall become a better athlete”.